Manslaughter is the unlawful killing of a person without malice or premeditated thoughts. These premeditated thoughts are considered "malice aforethought". There are two levels of manslaughter: voluntary manslaughter and involuntary manslaughter. Voluntary Manslaughter: includes killing in heat of passion or while committing a felony. An act of murder reduced to manslaughter because of extenuating circumstances such as adequate provocation arousing the "heat of passion" or diminished capacity. Voluntary manslaughter requires intent, but is mitigated by the fact that the killer was subjected to adequate provocation to drive an ordinary person to kill. Instances of adequate provocation may include things such as unexpectedly finding a spouse in the arms of a lover, or witnessing an attack against one's child. Involuntary Manslaughter: is charged when the death of someone is caused while breaking a non-felony law. An example of involuntary manslaughter is vehicular manslaughter. Homicide in which there is no intention to kill or do grievous bodily harm, but that is committed with criminal negligence or during the commission of a crime not included within the felony-murder rule. 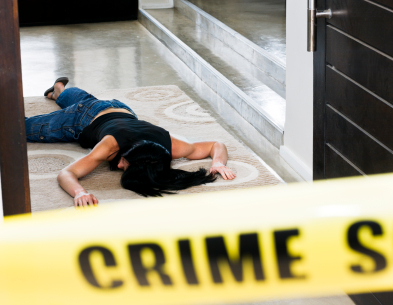 Involuntary manslaughter (which includes negligent manslaughter) is the crime that results from a death that occurs despite a lack of intent to kill. Manslaughter, also called criminally negligent homicide or culpable homicide, is a kind of homicide wherein a person causes the death of another through negligence or recklessness or where a person intentionally kills another but is not liable for murder because he is able to avail himself of a defense, such as provocation or diminished capacity. Resistance to public officers, etc. Killing in the prosecution of an unlawful or wanton act. Killing in the prosecution of a lawful act, improperly performed, or performed without lawful authority. The provocation which reduces the killing from murder to manslaughter is an answer to the presumption of malice which the law raises in every case of homicide; it is therefore no answer when express malice is proved and to be available the provocation must have been reasonable and recent, for no words or slight provocation will be sufficient, and if the party has had time to cool, malice will be inferred. In cases of mutual combat, it is generally manslaughter only when one of the parties is killed. When death ensues from dueling the rule is different, and such killing is murder. The killing of an officer by resistance to him while acting under lawful authority is murder; but if the officer be acting under a void or illegal authority, or out of his jurisdiction, the killing is manslaughter, or excusable homicide, according to the circumstances of the case. Killing a person while doing an act of mere wantonness, is manslaughter as, if a person throws down stones in a coal-pit, by which a man is killed, although the offender was only a trespasser. When death ensues from the performance of a lawful act, it may, in consequence of the negligence of the offender, amount to manslaughter. For instance, if the death has been occasioned by negligent driving. Again, when death ensues, from the gross negligence of a medical or surgical practitioner, it is manslaughter. Manslaughter is committed when another individual recklessly takes the life of another. This is different than murder because the person lacks the intent to actually commit the crime. An example of this would be when in a car accident where the driver had been drinking. The driver may be charged with reckless manslaughter. The unlawful killing of another is the most serious allegation any person can face. Not only are the possible consequences of a murder or manslaughter conviction devastating, but the scrutiny and volatility generated by such an accusation are terrifying. Moreover, the accused generally starts at a huge disadvantage because the media is often involved, the manner of death is shocking, and prosecutors perceive a public pressure for swift justice. The successful defense of a manslaughter charge requires elite representation. We have the experience and aggressiveness necessary to overcome the disadvantages faced by a manslaughter defendant. We know how to successfully handle media pressure because of experience in previous high profile and nationally scrutinized cases. Moreover, the successful defense of a manslaughter charge requires nothing less than the meticulous and comprehensive approach that we employ in all our cases. In short, we are the elite representation that is needed when so much is at stake. If you have been charged with voluntary manslaughter or involuntary manslaughter, contact The Sheena Law Firm today to review your case.